﻿London Studios is proud to have two incredible resident Drum Experts: Mark Chaney and Aaron Jeffries. Fulfill your rhythmic dreams and join us for drum and percussion lessons. 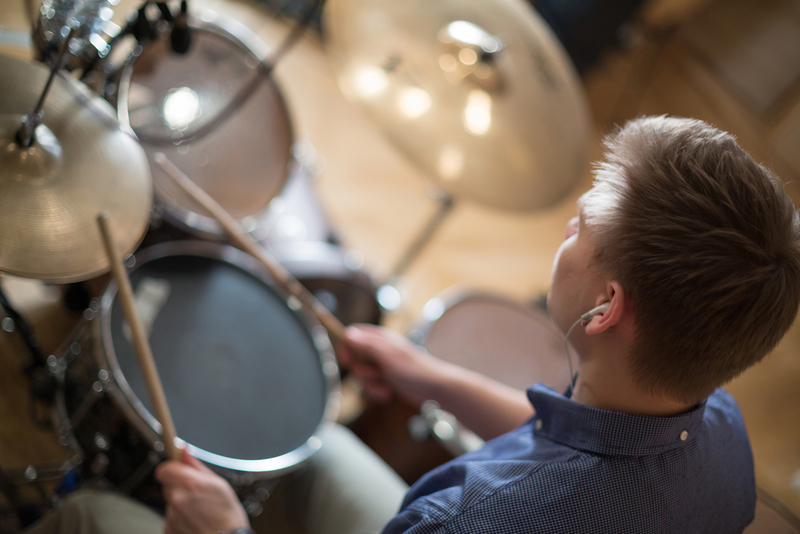 From rock and pop to jazz and Brazilian, we will help you realize all of your drumming goals. We offer drum lessons for all ages and all skill levels. Drummers are the unifying force of any band! Learn timing, basic music reading, original beats and fills, soloing, double bass, drum along to your favorite songs, drum separation, 4 way limb independence, stick control, feet control, tricks, school band tutoring, and more! I'm Interested In Drum Lessons!